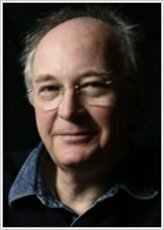 Philip Pullman is probably the world’s most acclaimed living children’s author, whose bold, brilliant books have set new parameters for what children’s writing can say and do. 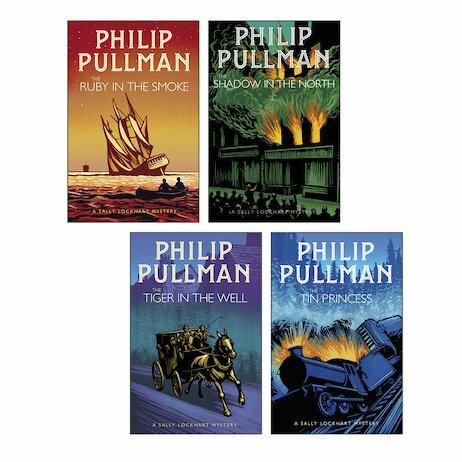 He is best known for the trilogy of books known as His Dark Materials, which won the Carnegie Medal and the Whitbread Book of the Year Award. In 2003, His Dark Materials came third in the BBC’s ‘Big Read’ competition to find the nation’s favourite book, and in 2005 he was awarded the Astrid Lindgren Memorial Award, the world’s biggest prize for children’s literature. In 2007, The Golden Compass became a major Hollywood film starring Nicole Kidman and Daniel Craig. He has published nearly 20 books in total, and when he’s not writing he likes to play the piano (badly), draw and make things out of wood. Philip was born in Norwich on 19th October 1946. The early part of his life was spent travelling all over the world, because his father and then his stepfather were both in the Royal Air Force. He spent part of his childhood in Australia, where he first met the wonders of comics, and grew to love Superman and Batman in particular. From the age of 11, he lived in North Wales, having moved back to Britain. It was a time when children were allowed to roam anywhere, to play in the streets, to wander over the hills, and he took full advantage of it. His English teacher, Miss Enid Jones, was a big influence on him, and he still sends her copies of his books. After he left school he went to Exeter College, Oxford, to read English. He did a number of odd jobs for a while, and then moved back to Oxford to become a teacher. He taught at various middle schools for twelve years, and then moved to Westminster College, Oxford, to be a part-time lecturer. He taught courses on the Victorian novel and on the folk tale, and also a course examining how words and pictures fit together. He eventually left teaching in order to write full-time. His first published novel was for adults, but he began writing for children when he was a teacher. Some of his novels were based on plays he wrote for his school pupils, such as The Ruby In The Smoke. Philip still lives in Oxford, and he writes in a shed at the bottom of his garden. The shed contains two comfortable chairs (one for writing in, one for sitting at the computer in), several hundred books, a six-foot-long stuffed rat which took a part in his play Sherlock Holmes and the Limehouse Horror, a guitar, a saxophone, as well as the computer, decorated with dozens of brightly coloured artificial flowers attached to it by Blu-Tack. Blu-Tack plays a big part in Philip Pullman’s writing process. With it he sticks to the wall pictures, notes, posters, reminders, postcards, book jackets, anything that will stay there. Another product of technology that Philip can’t do without is Post-it Notes, the smallest yellow ones in particular. They are very useful for planning the shape of a story: he writes a brief sentence summarising a scene on one of them, and then puts them on a very big piece of paper which he can fill with up to sixty or more different scenes, moving them around to get the best order. Philip Pullman believes firmly in the virtues of healthy exercise and a moderate diet — for other people. It makes them feel virtuous, and makes them feel good if not happy. He is fond of sport, and plays it by watching television. He is a big fan of Neighbours, but that is the only soap he watches, as Neighbours gives him quite enough to think about. He is married to Jude. Their son Jamie is a viola player, and their younger son Tom studies linguistics at university. As far as he can tell, Philip Pullman is moderately harmless and useful. He would like to carry on doing what he’s doing now, and there seems no reason why he shouldn’t, but if it suddenly became against the law to write stories, he would break the law without a second’s hesitation.